The trade between Uganda and war-torn South Sudan is slowly but surely picking up. Information this publication has gathered from Arua Park in central Kampala indicates that the volumes of goods exported to South Sudan is increasing, compared to a few months ago. Similarly, the number of people traveling to South Sudan for trade is also up. According to Davin Angutia, a logistics agent in Arua Park, there is significant increase in goods being transported to South Sudan compared to a year ago. Uganda mainly exports foodstuffs, manufactured goods as well as re-exports of vehicles to South Sudan. Angutia says while in the recent past they used to book a bus to Juba over two to three days, now they book three buses daily, and sometimes four to five buses a day. Bus operators with daily and fully booked buses to Juba include Crown, Goldline, Friendship, Gateway, GISA and NASRI, each having multiple buses. He says although the situation has not improved to before December 2013 levels, nonetheless it is much better than a year ago. 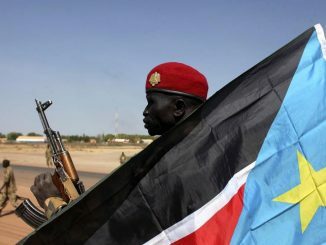 The current South Sudan conflict started in December 2013 after President Salva Kiir ejected his Vice President Riek Machar accusing him of attempting to stage a coup. This led to months of violent conflict between the ruling Sudan People’s Liberation Movement/Army and a splinter force, the SPLM-In Opposition, largely split between the two largest ethnic groups, the Dinka and Nuer, respectively. A temporary peace agreement lulled the conflict a bit only for it to flare up in mid-2015. 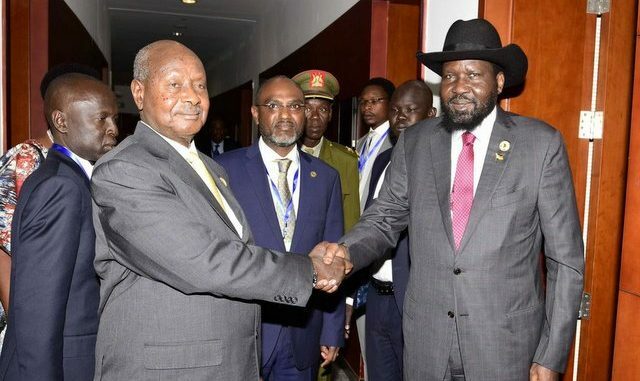 Before the start of the conflict, South Sudan had out-sprinted all of Uganda’s trading partners to become the Number One, with exports in the region of over 500 billion shillings monthly. The conflict so affected trade between Uganda and South Sudan to the extent that it lost ground to Kenya, the Democratic Republic of Congo and Rwanda. According to Uganda’s trade ministry figures, the conflict reduced trade between Uganda and South Sudan by about 90 percent. According to Joan Ocida, a dealer in used clothing, the pickup in trade with South Sudan is attributed to improved security along the Nimule-Juba road. Heavy deployment and patrols by government forces have significantly reduced ambushes by rebel soldiers, making the route safer for traders. According to Angutia, the biggest challenge to the traders is the weekend South Sudan Pound (SSP) which is trading at 10/18 to the shilling on the buy and sell sides. At South Sudan’s independence in 2011, one SSP traded at close to 1,000 shillings. As a consequence, traders in South Sudan are also accepting payments in Uganda Shillings in order to avoid the sharp loss in value when exchanging the Pound into Shillings. The pickup in trade between the two countries also comes at a time when the Ugandan government is exploring ways of compensating many Ugandan traders who supplied goods and services in South Sudan and have not been paid. 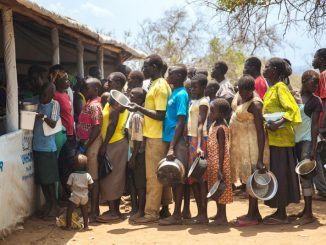 The Ugandan government intends to pay out hundreds of billions of shillings in the hope that when South Sudan stabilizes she would pay back. 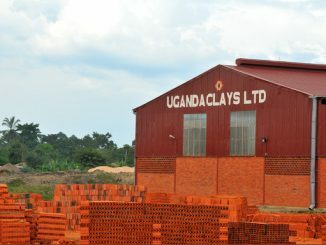 An estimated 30,000 Ugandan traders, big and small, are on the list.